It’s really easy to become confused when it comes to the size of paper you should select for your printing project. We are often asked to help clients and friends with which size paper to choose and what dimensions apply to each paper choice. To help you climb the mountain of paper choice we have put together an easy reference visual guide. The ‘A’ series of paper is the most popular format in Australia and is commonly referred to as the ‘economical choice’ due to its popularity and wide spread use. Remember, you are not restricted to these sizes. When your project is special and falls outside these parameters The Marketing Bungalow Team work closely with our print suppliers so you can achieve the best finish, at the best price. Simply put, you have access to simple options as well as custom output. Want to chat about paper? Contact Team Bungalow. 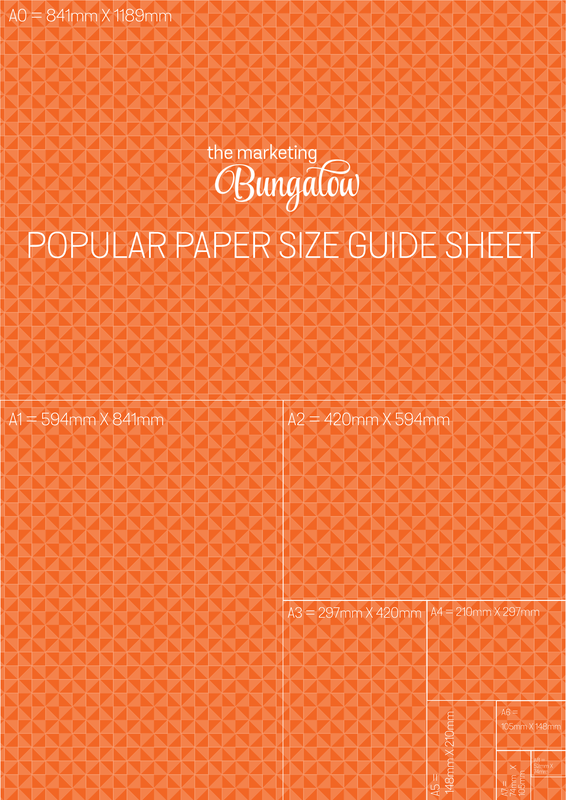 Download the FULL SIZE paper size guide.